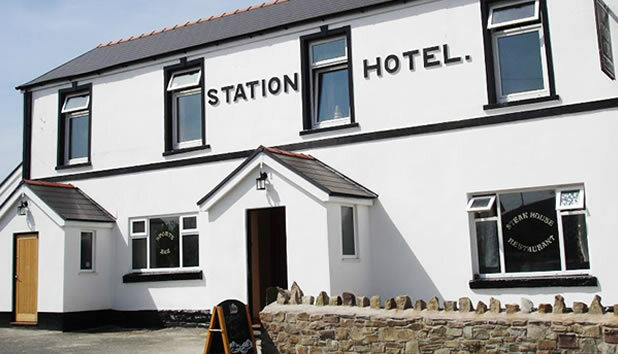 A very warm welcome awaits you at The Station Hotel – a traditional village pub with a modern hint as you enter located at the top of Cefn Coed (overlooking the historic Merthyr Tydfil viaduct). Our traditional bar offers a great range of chilled lagers and 2 regularly changing Cask Marque accredited real ales together with a selection of old and new world wines. We are a dog friendly pub (just so long as they are on leads and accompanied by well-behaved owners!) and also welcome horses and their riders. We are a perfect meeting place for those embarking on the “Taff Trail” Mountain Bike Trail for walkers & cyclists which is due to open in 2013.